Gender differences and how they may influence altruistic behaviors have been studied for over 50 years. The majority of these studies have focused on behaviors that help those who are in need of some form of physical assistance. However, there is little research that contains information on helping behaviors exhibited when one is in need of emotional support. 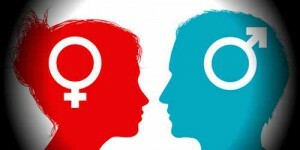 Consequently, there is little research on gender differences pertaining to altruistic behavior when incorporating either a situation that requires emotional or physical help. Research Question: How does each gender react to an individual showing a need for either emotional or physical help and how might their opinions on gender roles affect their responses? Setting: Rowan University in Glassboro, New Jersey Participants: Recruitment is currently underway using SONA and flyers around campus and we expect to have preliminary data to report at the conference. Research Design: A randomized control trial is being conducted in which participants are randomly assigned to either a physical or an emotional condition of help. All participants are then given a questionnaire to measure their various opinions on gender roles. They will be asked to fill out the Eysenck Personality Questionnaire. We also prompt them to provide us with their own gender identity. Data Collection & Analysis: Data collection is underway. We will be using a chi square and multiple regression analysis to test for differences between groups. Findings/Results: We expect to have preliminary results to report at the conference.